The Stormshield Tackle Roll is designed for storing all your items of end tackle and rig tools. Features divided pockets so you can stay well organised at all times. The lower pockets are finished in a smoked clear plastic to make finding exactly what you need both quick & easy, whilst the upper pockets are finished in elasticated mesh, which makes them ideal for storing hook link materials, PVA refills & small accessory boxes. 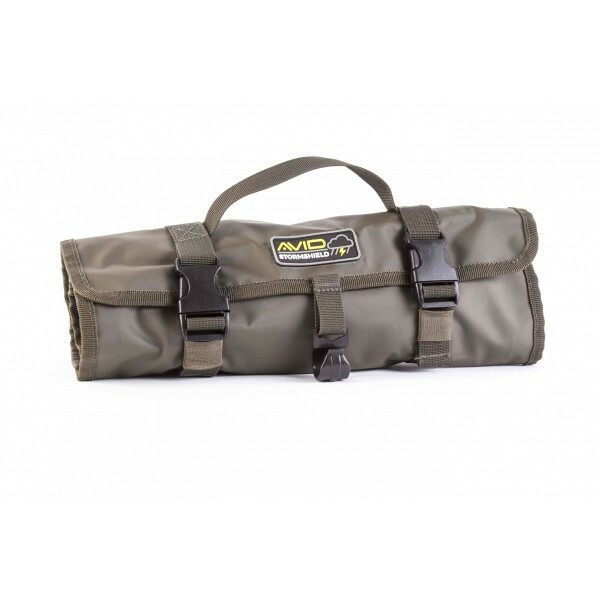 The Stormshield Tackle Roll is great for stalking and can even be attached to your bivvy or brolly, keeping all your essential end tackle close to hand.